D Grade: Why Did Northview Fall That Low? 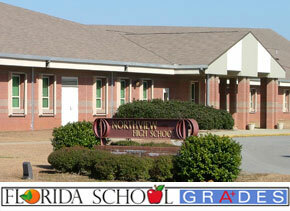 How did Northview High School’s grade from the Florida Department of Education fall to a D? It is a question that many North Escambia residents have asked, and a question that Northview staff is asking. Northview was a solid C-rated school from the 1999 to 2007. Then in the 2007-2008 school year, NHS jumped to a B rating, just a handful of points from being an A school. But for this past school year, Northview dropped all the way to that D.
NorthEscambia.com sat down with school officials to ask that question. We were not looking for excuses, and Northview’s administration made none. But we did learn that there is more to the lowest score in the school’s history than meets the eye. The mathematical formula that the state uses to compute school grades includes a one-letter grade drop if half of the lowest 25% of students in the school fail to make learning gains. A student is defined as making a learning gain with an improvement in achievement level — for instance an increase in score from a 1 to 2 on the math FCAT; maintaining at level 3,4 or 5; or demonstrating more than one year’s growth within levels 1 or 2. There are really good teens in that lower quartile, Simpson said. There are those that are below average and learning disabled students. Even former Northview students that may have been removed from the school and sent to an alternative school still count against the NHS score. Compounding Northview’s problem, Simpson said, is “typical teenagers”. There are those that “Christmas tree” the test — filling in the multiple choice bubbles and then laying down on their desks to take a nap. And, he said, many students have problems focusing on school due to technology — cell phones, Internet, email, television and the list goes on. Under a provision in the FCAT rules, a student that makes 15 or greater on the ACT is not required to pass the FCAT. So many of those students “Christmas tree” the test too, he said. Even home bound students in the Northview district count toward the school’s FCAT scores. The problems are not Northview-specific, but tend to statistically impact the score at a smaller, rural school more than a large city school. Simpson stressed again that he was not making excuses for Northview’s D. Rather, he said, he wanted NorthEscambia.com readers to understand that the school scored enough points for a strong C but received the letter grade penalty. In fact, the school’s total point score used to determine the school grade was the third highest in school history at 469 — well within the 435-494 range for a C. Last year’s B score was earned with 519 points, and in the 2006-2007 school year, the school earned 481 points for a C.
In writing, 90 percent of Northview students met high standards in math, the highest percentage in Escambia County. In math, 77 percent of NHS students met standards, the second highest in the county. When NorthEscambia.com visited Northview earlier this week, a team was assembled to analyze school data and develop that plan. FCAT should be ended, nobody likes it, what is the hold up? G. Bush started it so that should be your first clue that it was a dumb idea. The school is too far away. Most parents just don’t have the transportation to and fro. I thought it then and I’m still thinking it now, Northview was and is a BIG MISTAKE!!! I have been reading most of these comments and i am upset !! I really think that the fcat should be thrown out it does nothing but stress our kids out most teachers hate having to teach this fcat they cant teach what really matters. as for northview i think it needs a good overhaul with the staff the district really needs to do something . why r you peolpe blaming the kids? i think you should be looking at the teachers and staff and the district maybe even the florida laws . Parents! lots of you do not have these words in their vocabulary. “do you have homework? how are your grades? how did you do on the test?” Children are going to get by with the least amount of work they can. They are more interested in texting , video games etc. All students need to take personal responsibility about their grades and parents need to see that it is done. There is no need to berate the school. I think the FCAT needs to be reworked. I have seen some of it on my 12 year old grandchild. Also it is beyond comprehension that some students have such a low grade level of reading and spelling. This all starts in elementary school. There could be much improvement. Walnut Grove is calling, they need you back to help Paw on the farm. They don’t have all of those new-fangled gadgets like these cantankerous youngins do. Parents do your job, and at least you know your kids will make good decisions, even if the administration doesn’t. Observer is correct! Respect should be mandatory from all students. It should be taught at HOME first and also at School! We did not talk when a grown up was talking and we also rose when one entered the room, especially a lady. To the observer; When you start to choose your team,be sure to count me in. I’ll go way back to the 1970’s for my comment. When I was just a 3rd grader, we learned a lot from our teachers, not just the 3 r’s. We learned RESPECT and the meaning of it. If an adult walked into our classroom, a parnet or another teacher, we stood until they entered the room, then we sat QUIETLY. No one ever said a word then, OR during the teaching of any classes unless we raised our hands and were called on. You should walk into ANY school today and see and hear the disrespect the kids have today…of anybody. The teachers can hardly teach due to the talking and cutting up going on inside the classrooms….and respect, you can throw that right out the window. I agree with a previous poster, respect and manners begins at home with the parents…NOT THE GRANDPARENTS, which we see soooo many raising grandchildren now days. I know some parents and grands sent their kids to school for the day just to get them out of their house for the day…some need it. If the kids of today could learn subjects the way they have learned to text, watch tv, play video games and talk on cell phones and play on computers, we may have a chance…but if it’s something they don’t care to do, they aren’t going to do it or learn it. Our world is ruined due to all this technology, yes, it’s handy and fun, but they should have their times for these other activities. School, respect and manners should be taught first and foremost. This generation is awful and i fear for the world with these types of “leaders for our future.” I would love for the world to go back to the good old days where you didn’t have to lock your doors or watch your back every second of every day…the world wpuld be a much better place. Don’t blame teachers or schools or others for any schools scores…if YOUR child is doing what he/she is supposed to be doing and is respecting others, you are doing your job and you are doing it well. My opinion of the Fcat is that it should be thrown out!!!! The Fcat tests puts way too much pressure on Teachers and students to perform on this one test. The fact of the matter is that alot of students just cannot test well. I know back when I was in school I always made good grades but you give me a timed state test and I would bomb! It was not necessarily because I didn’t know the material but because I could not handle the pressure of the timed test! It’s not right to punish or drag Nothview through the mud because of this grade. There are alot of factors that caused that grade. I have a son that will be senior at Northview this year and a son coming into the 9th grade and I have no doubt that they will be taught the way they should. Keep your head held high Northview !! Oh and one more thing. I am also tired of hearing Century being put down. I am a graduate of Century High School and I got a good education. That is what is wrong with Northview. There are some people from Ernest Ward and Century (mostly the adults) that will not stop pointing fingers at each other. Let’s let these students be one and not label them as “Ernest Ward” or “Century ” kids!!!! One community is no better than the other one!!!!!!! I have plenty of things to be upset with NHS about, but in their defense, it is not up to the teachers at school to raise these children. This starts at home and with extended family. Life Lessons don’t come from school, Book learning does! Our teachers need to be able to teach and not be burdened with raising the children of the community. it is not fair or reasonable to expect the teachers to “impress upon these young minds the lessons of life” If more parents and families would do their part in raising their children then the teachers might actually have a chance to teach. Our daughter will be a Senior this year and as caring and involved parents, we are looking forward to a new plan for Northview. For security and common sense purposes, it would seem to me that parents don’t need to all be going up to the school requesting to see what this new plan might be, so I am hoping that when the details are ready, Mrs.Weaver will consider letting William put it on this site for all of us to read. Just an idea! I understand and accept the reality of the disabled students possibly bringing down the points at Northview somewhat, but it seems to me that we have had them in attendance at Bratt, Ernest Ward and Northview for years now, as long as I have been involved in the school system with our two children, and we have managed to do good this far. So I personally do not think that played as much of an role in the lower grade than just the fact that we have some students now that have just gotten plain ACADEMICALLY LAZY! Parents- we need to hold our children and their accomplishments to the highest level possible. Push them to suceed, but do it with common sense and love. Let them know it’s NOT okay to just get by and that working at the local retail, food or supermarkets should just be a temporary job, not their career choice. Those jobs are useful to teach them responsibility until they acheive a high school diploma and then hopefully go onto College or Trade school. They shouldn’t settle for just whatever, and in the end, they will thank you for pushing them to acheive their very best. It’s our job to teach them that it’s a hard world out there once they leave our homes. And the only way they can make it, without resorting to selling drugs and robbing banks, is to work very hard, every day and earn it the old fashion way! I said that some students have gotten ACADEMICALLY LAZY, but it seems that some parents have gotten PARENTALLY LAZY too! We have ALL got to do a better job with our young people. Most of the kids that take part in sports make A-B grades. All of these things can still be found in private education. Some folks have the money and/or are willing to sacrifice to see their children receive these benefits. Stop complaining everyone and anty up, pinch those pennies, don’t let the government continue to raise your children. and running in the halls. Some of you may remember the days when schools were under the control of parents, teachers, and the local school boards. You may also remember these schools brought us our “greatest genneration”. Also, these are the great minds that have brought us advances in medicine, and new technolegy as well as other fields of human advancement. classrooms from the principal and teachers and gave it to the students as corporal punishment is denied to maintain order. that can’t understand the few words they CAN read. Well I have read some good and some not so good things in the post. Now time for my comments. 1st. Teach our kids and grandkids what they did to learn to make a living and to get along in the world. Not all chlidern will go to college because some can’t get scholarships and can’t afford it. Some don’t have the mental makeup to get into colleges. I fell into the group of lazy and got away with it until I hit the real world. Every child can learn how to make a living in this world with the help of PARENT, GRANDPARENTS, FAMILY, AND TEACHERS. I put Teachers last for a reason. The Parents and Family should take the time or make time to see that their kids are learning and not to just depend on the Teachers. Learning anything starts at HOME. Plain and simple. 2nd. Sports help all childern to learn to be a team player not just to think they are out in the world by themselves. It helps kids to make friendships that last a lifetime. I have 2 grandsons that played little league this year and both of them made straight A’s. The reason goes back to #1. Their parents made sure they did their homework and studied. If they didn’t do well in school they would not have played ball of any kind. 1 grandson didn’t play ball and he had a bad report card one time needless to say he lost everything until the grades got back to A’s & B’s. I applaud my Daughter and Son-In-Law for their efforts to make sure my grandsons are ready to face the world when the time comes for them (grandsons)to do so. I also make sure every chance I get to explain to them that an education is the most important thing they will ever get in life. 3rd STOP PUTTING THE BLAME ON OTHERS DO YOUR JOBS AS PARENTS & FAMILY. You had the kids it is your responsibility to make sure they do it. Not everyone else. You can have the best Teachers in the world and you can bet they are not going to help your child if you don’t do YOUR part. 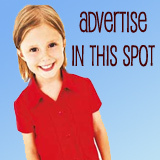 Then you will see a vast improvement in all schools and communties. That’s about it in a nut shell. It starts at home with time spent with your KIDS. P.S. Thank you NE for actually bringing this out in the light, there was a time no one from “up here” would have had the guts to discuss an issue like this one. ok you dont have to “maintain a certian GPA” you have to have a C or above. kids who play lilttle league and football and all the other sports can get schollarships to a college so this day and time pearnts need all the help they can get in order to send their kid(s) to college. take my mom for example she wants me to go to college but i have to make good grades in order to go to vet school so i will need schollarships. so that is why parents might be more involed w/ sports. But you dont know what the parents do so why even say that they are just putting it before school work. They may make their kid(s) do both, sprots and be good in school. After reading the comments below and the almost 40 replies to the original story I have some comments also. We need to (as a school and as parents) get out of accusing each other as to who is at fault and accept responsibility and put together a plan that addresses the shortcomings in which each party has control over. I will agree that there are teachers at Northview that don’t give a rip about your child’s education, that have poor teaching skills, and some are just buying there time. That same apathy resides in every school, business, and industry across our country. But for every one of these kind of teachers, there are nine, that genuinely care and are concerned about our children’s future (my wife is one of them). As parents, when our children reach high school we tend to get less involved in the school (PTA, organizations, Parent/Teacher conferences, etc.) Kids get much more independent when they get to High School and as parents we tend to “back off”. We need to stay involved!!! Regardless of what anyone thinks, much of America’s problems evolve in the home but our society is constantly looking for someone else to blame. I have been involved with youth activities and organizations long enough to know that to many parents are expecting someone else to do their parenting. Once we can say we got it together at home, then we can justifiably start asking the teachers and administration some hard questions about what they are doing. I’m not at all letting the administration off the hook here, and that there are not some changes that need to be made, just saying that the sole proprietor of our children’s success or failure is not the school. Let’s face it, most kid’s (there are exceptions), are generally lazy and will do only what they are told to do, and if they can find an easy way out they will (I have two like that). Mr. Simpson and Mrs. Weaver have said they are putting together a plan. Give them some time to do that, then ask to see the plan and evaluate it, and then hold them accountable to follow it. At the same time, let’s put together a plan of our own at home. If your child is struggling with grades or the FCAT, talk to the teacher to find out what you can do or what “little Susie” isn’t doing, talk to other parents to see if they are experiencing the same issues, and if so, set up a meeting with the principal. We may have to take away the cell phone, laptop, and TV for 1 hr each night, but I bet we would all see a difference. It’s a mutual problem and it’s not going to go away until some things change at school and at home. Northview High School needs to quit being talked about like its this awful place. And stop trying to blame other things such as sports and things because the parents are lazy and just dont want to admit to it. High school is suppose to be a great time in your life so being involved is actually good. Lots of parents complain because their children hate school, if they were involved then they would probably not mind it so much! While i was at Northview I played sports all 4 years and it was my motiviation. Not only that but my coaches made sure we were doing what we were suppose to be doing and I had two great parents that cared enough to make sure i was doing what i was suppose to be doing. So quit blaming the school and take responsiblity for your own problems. And dont think that any test measures how smart a student is because the FCAT is a joke and shouldnt be taking out completely! Just want to straighten one fact you pointed out in your post. I do not disagree with the rest of your statements. 1) You said “If you recall when Northview opened in 1995 it received 4 classes from Ernest Ward High School which was an A school and I believe Century was a B or C school at that time.” In 1995 the school grading system did not exist. If you do not believe me, call the Florida Department of Education and find out for yourself. So, we have no way of knowing what the grades of these schools were at the time of the merger. You are obviously from Earnest Ward and you feel that putting down Century makes you look good or something. You stated ” I could go on and on but will cut this short by saying this, Bratt & EWMS get ready this time next year you will be losing your A’s”. Now you say this as if the Century Kids coming will just drag the Earnest Ward and Bratt Kids down. Just one thought on this…. If the teachers are as good as they have been made out to be at Bratt and EWMS then those A’s are in no Danger, those teachers will be able to whip those new kids into shape in no time, RIGHT? I could not agree more. We have kids walking out of high school that do not know how to do very basic things. When I graduated High School I went through a technical program and I had a very smart instructor. He told us that for the first half of class he was going to teach us the book stuff and what we needed to know to pass the test and for the second half of the class we were going to learn how it was done in the real world so we would have a litlle bit of a clue on how to do things once we graduated. Maybe they could use this philosophy in High School. The first two years teach them the book stuff and the FCAT, the second two teach them real world knowledge! To JJ……….you are right on target!!!!! A very sensible post!!! I say drop the FCAT & teach these kids how to survive in this world. Alot of kids now days end up back at home with there parents & some can’t even balance a check book. It’s time to teach them how to survive in the really everyday life. That would eeven save money so they could pay our teachers what they deserve. But… that is just my opinion. The problem is not sports. I have to agree with Darryl, the problem is that parents do not expect their children to perform as students. There is little accountability for the students, and the low grades are laid at the teacher’s feet. As far as the low school grade: LOOK AT THE ACCOUNTABILITY REPORT. The only reason the school did not receive a C is because of the developmentally challenged students were unable to increase their reading skills. I think that the Little League and football programs you are speaking so harshly of involve the children in the age groups for Bratt and Ernest Ward. These schools didn’t make the “D”. They are “A” schools. Also, it’s my understanding that to participate in sports in high school, the student must maintain a certain GPA. So… doesn’t that mean that the students who are participating in sports are NOT the ones in that lower quartile who caused the school to be penalized? Therefore, doesn’t that mean that the athletes did not cause the school grade to drop? J.J. you are right. Many nights the lights are on till 10.30 to 11.00. What is so sad is the fact that these scores will worsen somewhat in years to come. Children are not assigned homework when it’s time to play ball. This hasn’t just started,been that way for a long time. Talk about trimming the budget,remove the sports program and things will return to normal real soon. I could go on and on but will cut this short by saying this, Bratt & EWMS get ready this time next year you will be losing your A’s. Good luck with improving the school. A couple of thoughts: Expectation should be higher. A student should be expected to do better and then given the resources and the encouragement to do so. If a student comes in with a sense he is expected to fail, the chances are he’ll fail. And I know it is tough on teachers trying to handle a classroom with various levels of skill, intelligence and motivation, but when certain students are also treated as not being able to do something or learn something then it adds to the problem. Of course this applies to home even more. The other thing is schools do need to while focusing on the basics, they also need to make changes to the format and general aim of the education of kids. The original basic purpose of the public school system was to train the public to go into the work force, but with our economy changing and the requirements of our business markets, schools need to also, by the latter years start focusing students on their strengths and desires, and if it farming, mechanic or some more technical education such as engineering, then that should be in a curriculum that aims them in that direction. I went through Ernest Ward, and even though I told the Guidance Councilor I wanted to study Architecture in college, I couldn’t get into art classes for the last two years in high school. I was given a choice of home economics or agriculture in my senior year. So I had some catching up to do in college for basic drafting skills and some fundamentals in art studies. Let’s go back to the late 60’s and 70’s when school was for learning and not just a meeting place to hang out. I remember the deal going down was to make “ALL” children participate on a higher level, to bring the minority students up to a higher level where everyone would have a equal opportunity for a better life after high school and maybe become responsible citizens and leaders in the community. This was call integration!! As we look ahead to 2009 this program did not and has not produced the success everyone envisioned. We now have a society of young people who have a “give me attitude” without having to work for any successes in their short life. Let us get back to the basic fundamentals of reading, writing, and arithmetic and for the kids that can handle more advance studies, give them the challenge and watch their minds blossom. Instead of bring the minorities up to a higher standard we have just let them get by. I do commend School Superintendent Thomas for his work in trying to correct this problem but it is going to take parent involvement for our school system to be successful. If you recall when Northview opened in 1995 it received 4 classes from Ernest Ward High School which was an A school and I believe Century was a B or C school at that time. When you combine these two scores the balance would last about 5 years. Then the struggling lower grade making students had a tougher time deciding to either follow the higher flow of students or the lower, Guess which one won? Parents ideas have changed as well as the students. I remember the time from 1960 to 1972 when I graduated that my parents were very much involved in my school and community. My dad had to sign every report card we received, he missed one of mine due to being on a Colorado hunting trip. We were expected to do our home chores, school work and if time watch a tv program. Church and scouts were our main involvement. Little League wasn’t even in motion during that time. No wonder students don’t do well, Little Leage, Football etc. keeps them up all hours of the night and parents put that before school. (How many have gone on to play “Professional” ball?) More and more the government is responsible for everything and when they take over completely parents are going to complain and it will be much too late. If I had it to do all over again our son would have played one sport and one sport only in the school level.